What is innovation? Most people make the mistake of thinking innovation and invention are the same thing- about creating something new…. something original…from scratch. At house51 we think originality is overrated. But don’t take our word for it. Have a look at this great film. It’s part of an ongoing series by Kirby Ferguson a New York-based filmmaker. 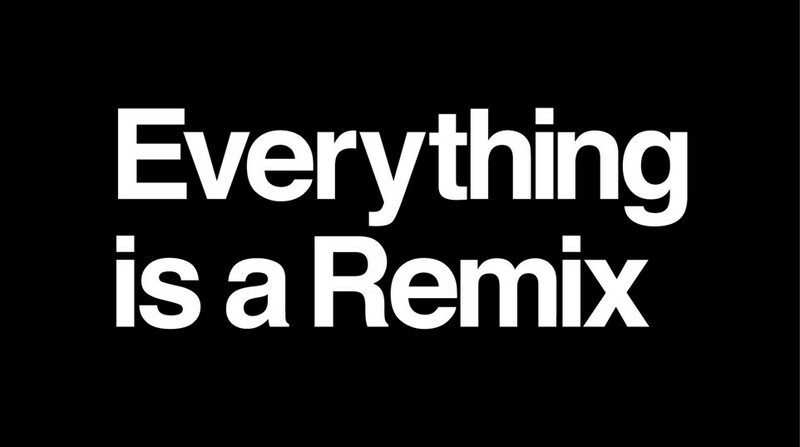 He argues that Everything is a Remix and we agree. And, just in case you think remixing is only for hipsters in Brooklyn and Shoreditch, here is Henry Ford talking about one of the most significant remixes in business history.. I invented nothing new. I simply assembled the discoveries of other men. Mark Earls seems to be on similar territory in his brilliant new book ‘Copy, Copy, Copy; How to do smarter marketing by using other people’s ideas’. But at house51 we still prefer remixing. Here’s why . Earls is a big Bowie fan and so are we. On page 35 of ‘Copy, Copy, Copy’ he talks about Bowie copying William Burroughs cut up technique to generate lyrics for his early albums. The key phrase here is ‘variation engine’. Bowie was undoubtedly a magpie. But the thing that made him a creative genius was that he was never satisfied with copying. Copying was just the start. He adapted, blended and elevated every idea and genre he touched to a new level. Bowie showed us the true nature of innovation. If we sat around waiting for new ideas we’d never get anything done. That’s why remixing is the true engine of progress. It starts with copying. But if you do it right you should end up with something genuinely disruptive and game changing.